Oils | Great Lakes Olive Oil Co.
It’s our mission to provide our customers with the freshest and healthiest oils from around the world. To achieve this, we follow a rotation of harvest seasons, that brings us a collection of Northern Hemisphere (California, Italy, Spain, and Portugal, for example) oils then rotates to the Southern Hemisphere (Australia, Chile, Peru, and South Africa, for example). This rotation ensures our customers are receiving the freshest olive oil that is available no matter the season. Our olive oils are rated as “Ultra Premium”. This rating is reserved for the finest extra virgin olive oils in the world. Exceeding the stringent standards as set by the IOOC, USDA, COOC, and Australian Standards, meaning our olive oil is the freshest and healthiest olive oil available! The creation of our flavor fused/infused olive oils starts with our “Ultra Premium” olive oil. Then using 100% all-natural ingredients, we create a wide selection of delectable flavored oils. 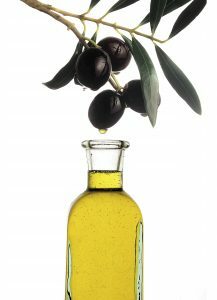 In addition to our olive oils, we offer a wonderful selection Specialty oils. These oils are made from a variety of nuts and seeds.